Admission: FREE for Americas Society Members; $20 for non-members. $10 tickets will be available for purchase at the door for students with ID. International Contemporary Ensemble (ICE) returns to Music of the Americas at Americas Society in a performance celebrating the chamber music of Argentine composer Mario Davidovsky, including the world premiere of Divertimento for 8: Ambiguous Symmetries, commissioned by Americas Society. Michel Banabila has been active for over thirty years, though his name has become more widespread in the last five or so. His approach is deep in the realm of electronic ambient music, and has been featured in television, film and theater. Thus, it is not surprising that Music for Viola and Electronics, a collaboration with violist Oene van Geel, is reminiscent of a soundtrack. But background music it is not. Banabila lays down atmospherics over which van Geel slowly improvises. But this release gets particularly interesting when the duo electronically process viola recordings, to create soundscapes that would not be possible in a traditional setting. Banabila adds percussive sounds to van Geel’s rapid sawing to good effect, especially in Dondergod, one of the album’s more esoteric tracks. On the third track, Echoes from Hadhramaut, they are joined by Bruno Ferro Xavier da Silva on bass, adding a rumbling voice to the mix. Nothing but Blue Sky is a quieter, introspective piece, with van Geel double-tracked to evoke Indian textures. Informed by free jazz, post-modern classical music, and Brian Eno, but beholden to none, these two Dutchmen have produced a minor gem of an album. 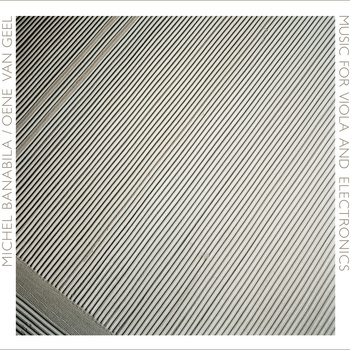 Very European in feel, Music for Viola and Electronics explores dark, wintry landscapes, and stark isolation. James Ilgenfritz’s William S. Burroughs –inspired opera “The Ticket That Exploded” is released on Grant Hart’s Con D’or Records. Composer and bassist James Ilgenfritz composed the opera The Ticket That Exploded in 2011, based on the 1962 novel of the same name by America’s preeminent avant-garde literary iconoclast, William S. Burroughs. Featuring a 20-person ensemble comprised of many of New York’s premiere vocalists and instrumentalists, the opera mixes free jazz, sonic experimentalism, contemporary chamber music, and raucous post-punk industrial mayhem, using the same radical cut-up techniques Burroughs pioneered in his writings. On March 21, singer/songwriter Grant Hart (Hüsker Dü, Nova Mob) brings his iconic solo performance to The Cake Shop. The occasion will serve as a CD release celebration for James Ilgenfritz’s opera The Ticket That Exploded, adapted from text by William S. Burroughs, and released on March by Grant Hart’s label Con D’Or.